Louisa Oates is one of Kybele’s bright, young faces who brings much to our organization. 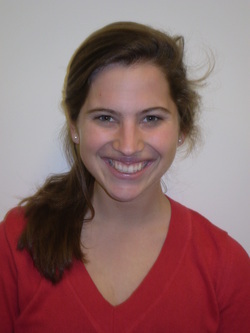 From Connecticut and a Wake Forest University senior, Louisa interned for Kybele in summer 2010 and continues to help out as often as possible as she finishes up her Health and Exercise Science major before graduating in May. Interested in public service and non-profits, Louisa applied for the Pro Humanitate Non Profit Internship, and won a spot in the competitive program. According to the Pro Humanitate Center website, the internship is “designed to give undergraduate students interested in public service an intensive work experience in a nonprofit setting in the Winston-Salem community and the opportunity to engage in vocational reflection and discernment”.(http://phc.provost.wfu.edu/ve_summer_np.php) . The program involves working for a nonprofit while simultaneously taking a course in non-profit management. Louisa discovered Kybele on her own, and was intrigued by what she learned from the website, prompting her to get in touch with Medge Owen. And the rest is history. With strong interpersonal and communication skills, along with a razor sharp mind, creativity, and terrific work ethic, Louisa has been a godsend who has helped Kybele significantly. For her, the best part of her internship was that she could “witness the effective work of Kybele” and be part of the team. In an interview on Jan. 26th, Louisa reflected that one of the things that surprised her about the experience was how such a small organization as Kybele could get so much done and make such a difference in the lives of people with so little office staff. Being involved with Kybele has inspired Louisa in different aspects of her life. One of the things she learned is the importance of following one’s passion and taking the risk to do something about one’s beliefs and passions. She talked about how the summer experience ignited her interest in healthcare, particularly maternal health. She plans to pursue that interest by working in a medical nonprofit for a year or so until she enters a nursing or nursing practitioner program. Ultimately, she would like to combine her international interests with maternal health in a nonprofit setting. The Kybele exposure, plus a recent trip to Haiti, has furthered her desire to help countries in need, especially in assisting medical staff to become more effective in a variety of settings. Thanks for finding Kybele, Louisa! !